Today is a special day for me, as i celebrate my mom’s birthday. I always wanted to do something different on her birthday, gifting, partying is an old concept (For sure that will continue) but from this year i will start something new and different on her birthday. I have seen people doing various good deeds on their own or their loved once birthday. So this time on her birthday i decided to do something (its not a big thing, but a good thing to start with) for those who are trying to give return something to the society. I have being there on the social circuit for a long time. 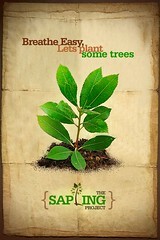 I’m proud to be a part of The Sapling Project, Eartholics, Mumbai Travellers. All these groups are doing good work in their respective field and try to make their surrounding the better place to live. And hence i decided to do some thing for such groups. So from today i open the doors of my blog to all those individuals, groups, ngo’s, etc. who are giving something to the society without expecting anything from the society. If any of such organization (registered / non registered) wish to promote them or their work through my blog can send their organization / group details to me. The group willing to promote themselevs should have a web presence either website or blog or FB page or twitter handle . If the group dont have these then i wont promote that particular group/ ngo. Currently i’ll be promoting only non-profit groups / organizations. I hope this initiative will help them to reach more people and thus can be helpful for their cause. The group can be based any where across India, i will promote them through my blog.